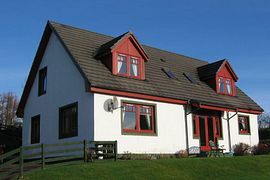 Gordon and Helen warmly welcome guests into their highland home and strive to provide the ideal place to rest. 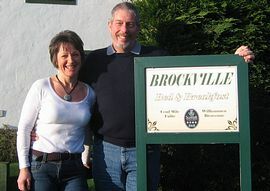 Brockville has two spacious en-suite bedrooms, which occupy the entire upper floor of the house. 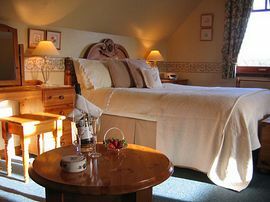 These rooms are comfortably furnished as bed-sitting rooms with many extras, to make your stay that bit more special. Rooms also provide; TV Freeview and DVD, WiFi broadband connection, CD clock radio, refreshment trays, complimentary toiletries, bathrobes and hairdryers. In the cosy breakfast room, guests can choose from a menu offering choices of Scottish breakfasts cooked to order, with fresh local produce along with homemade breads and marmalade, fresh fruit and fruit salad, a variety of yoghurts and a selection of cereals which is hard to beat. Mull's blend of mountains, coastlines, moorland and bogs, make this a wonderful habitat for flora and fauna. 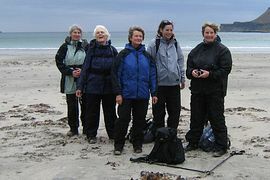 Mull and its surrounding islands, Iona, Staffa, Ulva and the Treshnish Isles, make this the ideal place to see wildlife. This island is often known as "Eagle Island". Golden and white-tailed sea-eagles can be seen soaring over skylines. Seals and otters can be seen in many of the bays and inlets. Ideal location to explore the island. Welcoming home with spacious rooms. Disabled Facilities: There are no disabled facilities. There are no disabled facitities. Special Diets Provision: Special diets are catered for. Please advise at the time of booking. 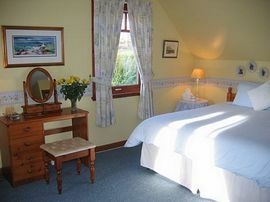 From: £35.00 per person per night, for two people sharing (including breakfast). We are open for bookings all year round.